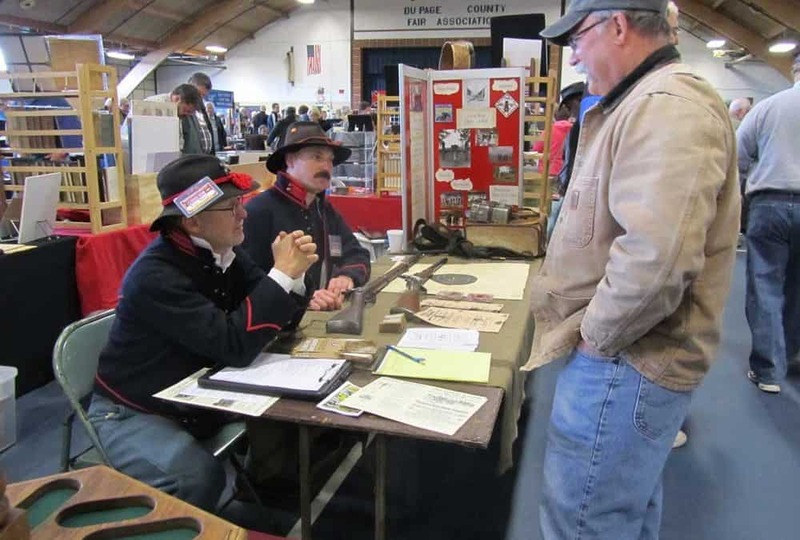 Wheaton, Illinois – the Du Page County Fairgrounds will again host the nationally acclaimed “Chicagoland Civil War and Military Show and Sale on Saturday, September 24th, 2016. 1000’s of historical artifacts will be for sale from the Civil War, Revolutionary War, Spanish-American War, thru World I and II. Don C. White Civil War historian, author, and lecturer will present “Remembering Our Presidents.” He will speak about the OHIO MEN. These are the five men born in Ohio that all became officers in the Union Army and then went on to become presidents of the United States. They are Grant, Hayes, Garfield, B. Harrison, and McKinley. What are the odds of that happening? There will be an am and pm presentation with a little time for questions afterward. Back by popular demand will be the “Battery H-First Illinois Light Artillery” display and the “Battlefield Balladeers” performing songs and music of the American Civil War. Rafael Eledge one of the country’s most active knowledgeable experts of the Civil War and 19th century militaria will also be joining us. He is seen regularly on PPS’S Antique Road Show as the Civil War appraiser.